So it's the last day of August! I can't believe how fast this month has gone! All in all August has been one hell of a busy month for me! And there are a few products which have been my absolute saviours this month whilst I've been away. My first August favourite is my MAC Studio Fix Fluid Foundation. Every man and his dog has heard about this foundation! I've spoke to people who love it and I've spoke to people who hate it but I first purchased this foundation nearly 3 years ago and personally I tend to fall in and out of love with it but recently I just can't get enough! 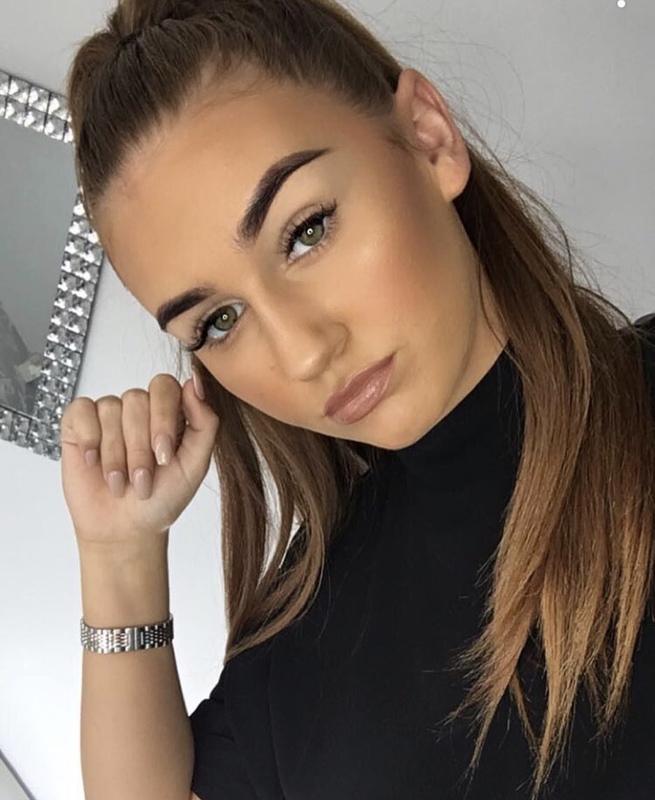 Before switching back to my studio fix I was using my Estée Lauder Double Wear foundation, which I love because of it's flawless, full coverage matte finish! However, at the start of August I went to iBiza for a week and didn't fancy packing on the layers of a full coverage foundation but I'm not one to go without any makeup so I toned down the coverage to my studio fix fluid. Oh my goodness I fell back in love again! I forgot how well this foundation just glides on my skin and has that lovely semi-matte finish which I've been loving this month! I love how you can use a small amount of product and have a lighter coverage or you can build it up in areas where you need it for more coverage. 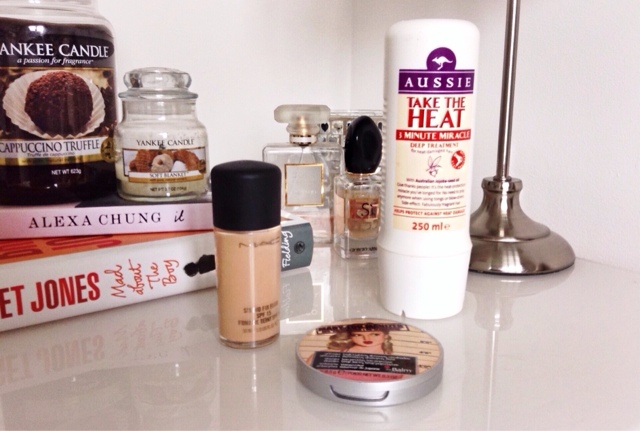 My second favourite of the month is the Aussie Take the Heat 3 Minute Miracle Deep Treatment. When I go abroad my hair tends to suffer with the sun and combining that with all the straightening and curling on an evening (I wasn't blessed with naturally beautiful hair it's more of a fluffy mess) my hair felt like it was on it's last legs. Sometimes using a treatment once a week is just not enough for me, my hair is thick and long so it needs extra TLC. So, I've been using the 3 minute miracle as my conditioner everyday instead of using it as a one off treatment. After shampooing I slather my hair in this product and then tie it up whilst I exfoliate then make sure all the product is rinsed out so I have no build up. Afterwards my hair feels softer and much more healthy, my ends no longer feel dry and my hair is much more easier to style! I can't stop using this as my conditioner because I LOVE the way my hair feels afterwards! My last but certainly not least favourite of this month is my Mary-Lou Manizer from The Balm Cosmetics. 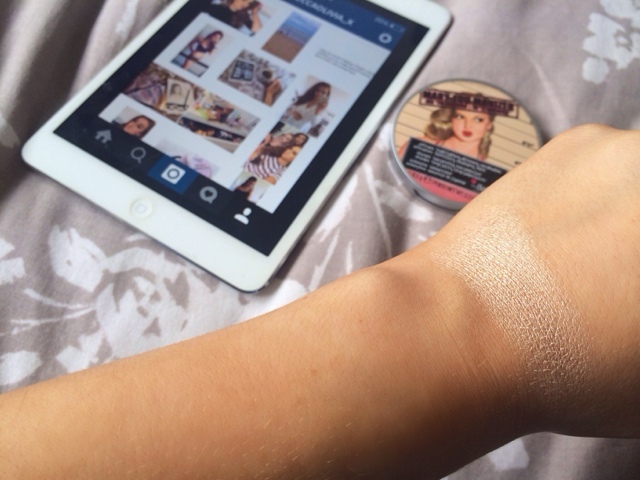 This is my absolute favourite ever highlighter! I've had it since December and used it near enough every single day and it looks barely used! But because it's summer I've been all over that glowly bronzey makeup! And this product just puts the icing on the cake! It's kind of like a champagne gold highlighter and it blends beautifully on the skin. Usually after I've applied my bronzer I apply this to the high points of my cheekbones, on the tip of my nose and cupids bow then whatever is left on my brush I dust in the centre of my forehead. A small amount of product goes a long way! And I find that using a Real Techniques setting brush or the Real Techniques duo fibre contour brush works best for this product! If you're all about the strong highlighter then I 100% recommend this product! Those are my favourite products for this month and hopefully September has some more to offer! Let me know what your favourite products are this month in the comments! See you soon!